Static Caravan owners who rent their Holiday Homes out have different ways of handling their rentals but most holidaymakers have similar expectations as to what should be provided on their arrival. 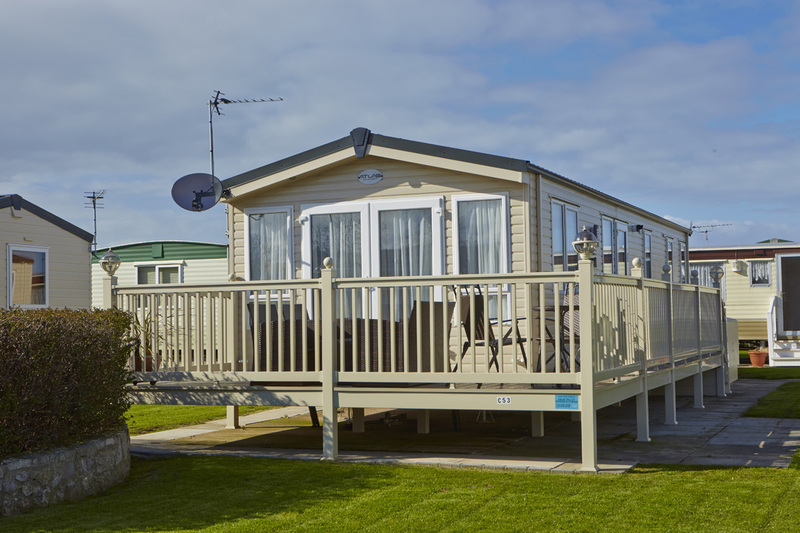 The season has started for our owners at Whitehouse Leisure Park so here are some tips, based on feedback from renters that may help to make your static caravan rental a success this year. We start with the Static Caravan kitchen and will continue over the next few weeks with the whole caravan. At minimal cost to you, a welcome pack can be the difference between a good review and a mediocre one. You will be surprised how grateful guests are to have just coffee, tea, sugar and milk so that they can at least make a drink when they arrive, especially if they have had a long journey. It goes without saying that the fridge, oven and microwave should be fully functioning, something you will have checked off your annual maintenance list hopefully! If you have a gas hob or oven even if the ignition is automatic you should provide a manual igniter just in case automatic ignition fails. Make sure the kitchen is well stocked with cooking utensils, crockery, cutlery and glassware since this is on the major complaints from people who rent caravans. Some holidaymakers may do very little cooking in the caravan, perhaps just having a slice of toast and coffee for breakfast before they set out on activities for the day. Hence a toaster is essential for them. But others will want to save money by cooking their own food and there is nothing more annoying than not having sufficient ovenproof dishes, saucepans, baking trays, frying pans etc. We suggest that you line the baking trays and grill pan with tin foil, and provide a roll of it for your guests to use. This encourages them to line the trays themselves when cooking so that you don’t end up with trays that are so caked with grease that you’d rather throw them away than clean them for the next guests. Cooking utensils should also include a good set of kitchen knives with a sharpener, corkscrew/bottle opener, spatulas, potato peeler and serving spoons. To save damage to your work surfaces provide at least two cutting boards. In terms of crockery and cutlery make sure that there is a minimum to cover full occupancy of the van even if only two people are going to use it. If they make friends on the holiday park, they may invite them over for dinner! Also, you can expect some breakages with the most careful of holidaymakers let alone those who are somewhat careless. Another major complaint from caravan renters is the lack of wine glasses. Caravan owners nowadays own Holiday Homes that are far more sophisticated than the vans of the past and they attract discerning holidaymakers. No one wants to drink wine from a pint pot! We don’t suggest you supply cut glass crystal but Ikea supplies a range of decent glasses for very little outlay. Most holidaymakers are aware that plastic is safer for use outside so provide them with sufficient to cover full occupancy. Plastic bowls, cups, plates, spoons, knives and forks are also more practical for young children inside or outside. Supplying a roll of bin liners and cleaning materials encourages renters to use them! There are of course many other things you can provide for a static caravan rental, but remember whatever you provide will probably need cleaning after the guests leave. Hence make your life easier by supplying enough for a hassle-free holiday but not too much that could make your end of stay cleaning difficult!